German Stories and Fairy Tales for kids were NOT all sweetness and light. Many stories, especially those from the pre-1950s, were cautionary tales, designed to impart lessons, or give warnings. 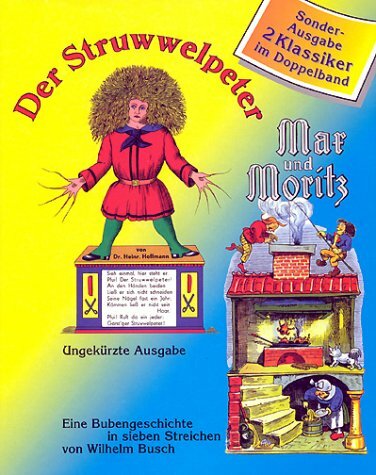 Aschenputtel’s (Cinderella’s) sisters get their feet cut off….and Max and Moritz get eaten by ducks. 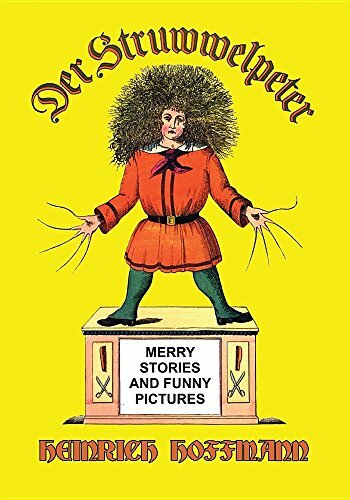 And then there was Stuwwelpeter (and Struwwelliese…). 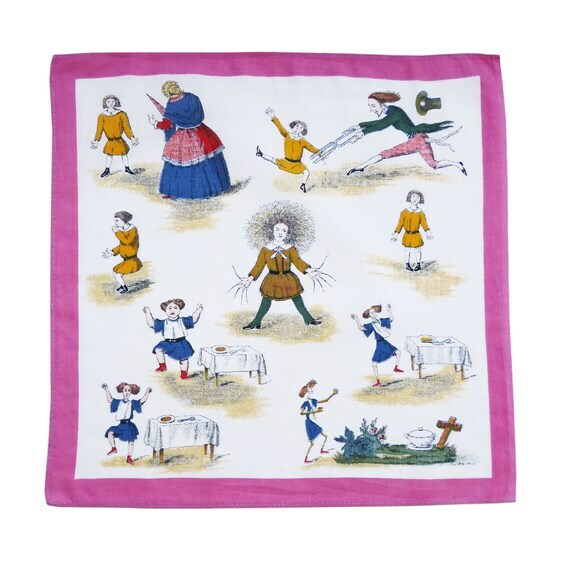 It’s truly a wonder any of us got any sleep at all after hearing these nightmare inducing Fables? 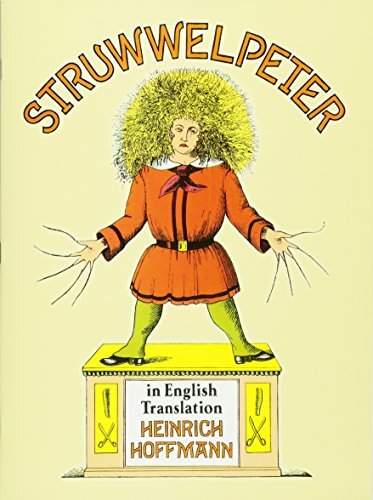 Now you can read der Struwwelpeter in English! 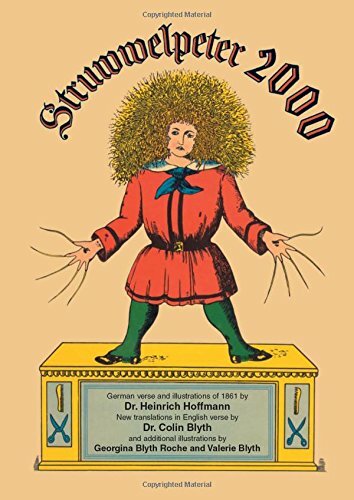 StruwwelPeter was originally written by Heinrich Hoffmann in 1844. He couldn’t find the right book to give as a Christmas present to his three year old son, so he decided to write one himself. The book is a series of short stories… all tales of “disastrous consequences of bad behavior”. Disastrous is putting it mildly. The title story is about a boy who never wanted to comb his hair or get cleaned up. As a result, he became ostracized… and quite scary looking. My personal favorite for nightmare of the year award was the story of the Daumlutscher (thumb sucker). His mother couldn’t get him to stop sucking on his thumbs…. so she asked a passing tailor to come in and cut them off with his scissors. YIKES! We are not talking Curious George Goes to the Zoo! 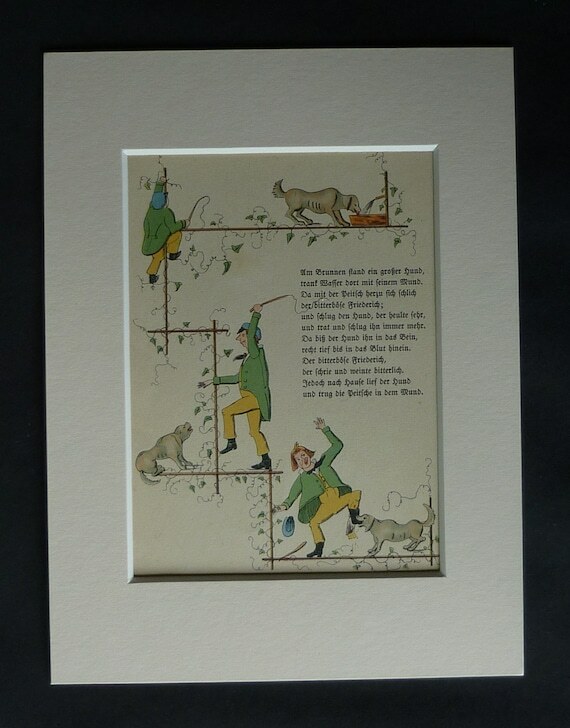 Geschichte von den schwarzen Buben- (The story of the black boys). Actually, this one is interesting. It’s about a group of boys who teased a black man. Nikolas came along and dunked the boys in ink, so now they were black too. And, we learn never to play with matches…. 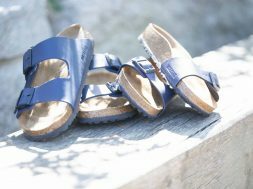 The shoes are a nice touch…. You couldn’t just tell the boys how to behave without giving some instructions to the girls. 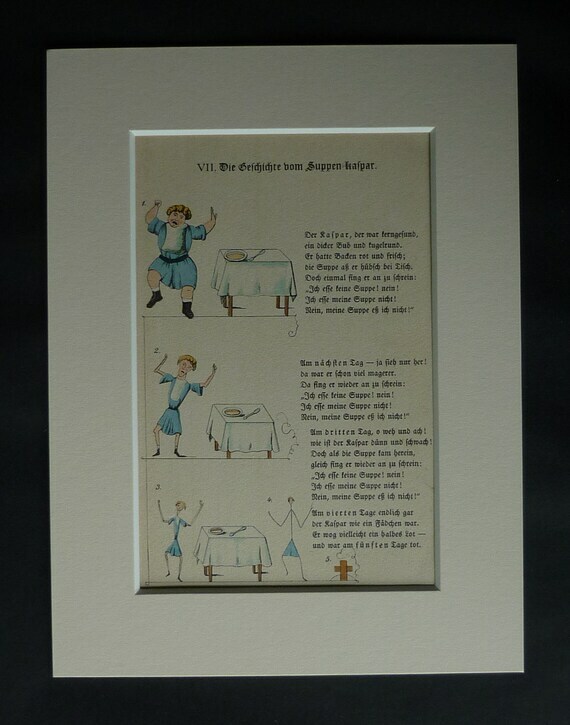 Struwwelliese was the female version of Struwwelpeter…. emphasizing female “Character Flaws”. To me she was clever and interesting. Yes, she looked like Pippi Longstocking on a bad day, but she had fun ideas; like pulling vegetables instead of weeds (to avoid eating them later). These are not the type of Children’s Books you will generally find in today’s American bookstores. Remember, these books were written in a different time and place. Raising children to be acceptable members of a society was important. Rules were important. The stories and illustrations went on to be inspirational to authors like Roald Dahl (who also scares me). 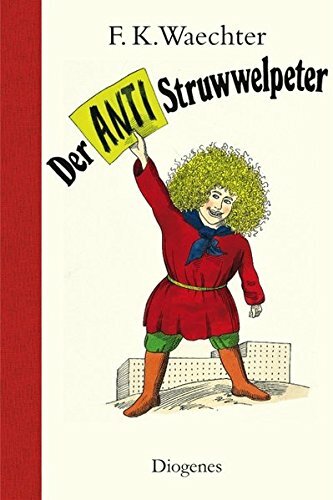 In 1968, F K Waechter wrote an anti-authoritarian version of Struwwlpeter, called the ANTI-Struwwelpeter. 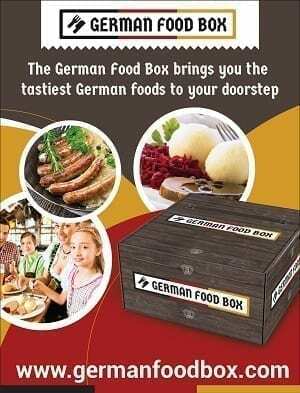 Only available in German…. The bits I’ve seen show a parody of the originals. Kind of a nice switch. (For example… in the original stories, boys laughed at the Black Moor, and St Nicholas dipped them in a vat of ink so they would be black too. 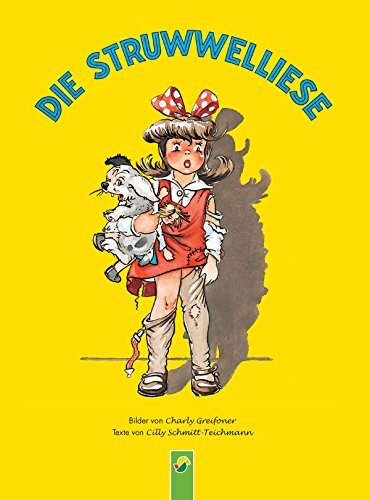 In the ANTI-Struwwelpeter, the little girl meets 3 Black children, and wants to play with them). I had a record… and I can still CLEARLY remember the voice… brrrrr. 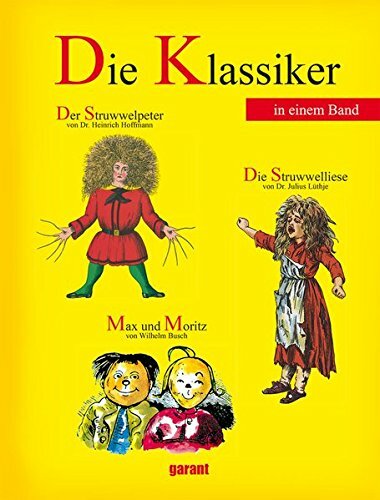 Die Klassiker – Der Struwwelpeter, Max und Moritz und die Struwwelliese Struwwelpeter / Max und Moritz. Mit CD. previous Dr. Oetker School Cookbook (Schulkochbuch) My Kitchen Lifeline! Yes…. pretty scary stuff….. not for the faint of heart. I still have my books (Max & Moritz and Struwelpeter) from early 1950’s.